If you’re like me, just hearing or seeing the word "etiquette" makes you nervous. It conjures images of Downtown Abbey, books balanced on girls' heads, and a world of unspoken rules I'm not quite sure of. On the other hand, business etiquette can make or break your next promotion, job interview, or networking opportunity. Knowing we could all use at least a refresher course of what fork to use and why, Career Development Services coordinated a group meal at The Capital Grille on Friday, February 17th. 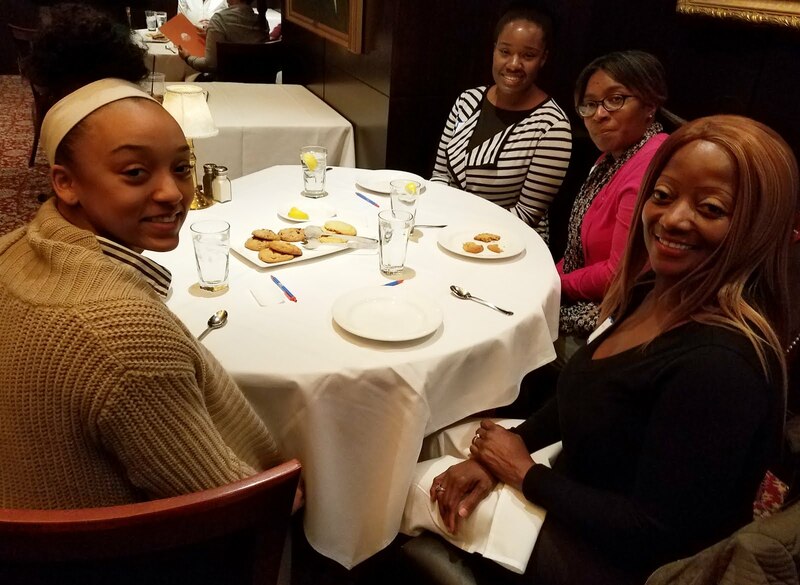 Located at Broad and Chestnut Streets in Center City, the Capital Grille is a popular upscale restaurant known as a place to make business deals. Alexis Lundeen, Managing Partner of the Capital Grille Philadelphia, facilitated our workshop, answering all of our silly and not-so-silly questions. 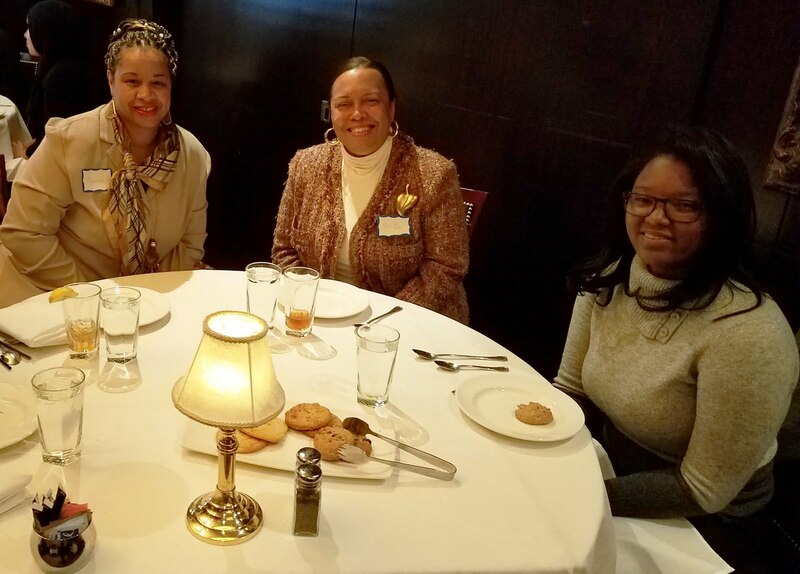 During our luncheon, we cross-checked etiquette tips we had heard from friends, family, even online. For instance, did you know that if you don't finish your meal, it is now appropriate to ask for the leftovers to be boxed up? However, make sure the ranking member of the table -- your boss or interviewer -- is the first to eat. Our most important lesson learned is that the purpose of a networking or business meal, as Alexis explained it, is not really about eating! It's really about demonstrating respect and making a positive impression. Knowing where to place your napkin and to indicate that you are returning to the table (on your chair) or you have left the meal (on the table) will help the wait staff wordlessly anticipate your next moves, leaving your focus on your important business transaction. Finally, as a group, we decided that etiquette is like a muscle -- if you stop exercising it, it is harder to use it once you need to. With all this in mind, I know I will be using this as an excuse to go out for a fancy dinner in the near future and practice my etiquette moves!